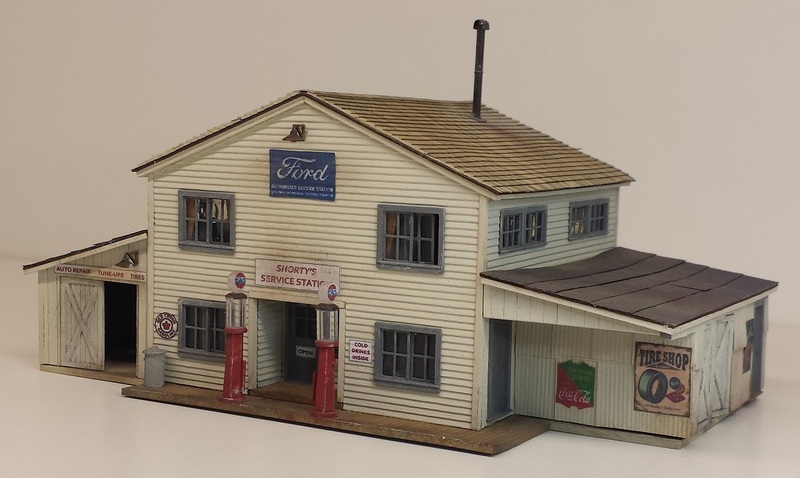 Shorty's Service Station is modeled from a prototype from the early 20th century in northern California. It just begs to be modeled in scale on a model railroad. Kit includes: laser-cut walls, roofs, floor, garage doors; Tichy windows, doors, & details; stripwood; roofing mat'ls; printed signage; BIS metal detail castings.